Mastered at Calyx Mastering, Berlin. Thanks to Jan and Carsten! © 2011 | www.raster-noton.net. Made in the European Union. Released in a six panel digisleeve. I might be a bit too late, but... WOW!!! This albums ROCKS! The digital treats on Symeta, from Chemnitz (German) based Olaf Bender is a perfect way to start the trip. As a co-founder of the cutting edge German label, together with Frank Bretschneider and Carsten Nicolai, Bender’s Byetone project first appeared on the label in 1999, with an Untitled EP. 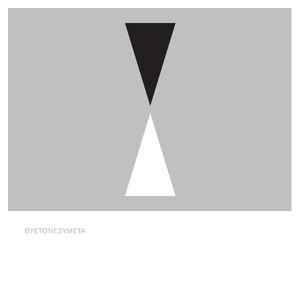 In 2008 Byetone’s full length release, Death Of A Typographer turned more than a few heads, thanks in part to the hit single, Plastic Star. With this followup Bender continues the explorations the project for the label. The seven tracks on Symeta glitch, tweak and bounce through the atmosphere with a driving beat, repetitive patterns, and intricate layers of sound. The only organic matter present in the music is the approach with which it was composed – the album was produced within the context of a live performance. Edging close to a statically stenciled rhythm, the pieces on Symeta could easily be heard in clubs, mixed in with the hypnotic cuts of techno or electro genres. The saw-tooth industrial sounding bass drills push the boundaries of any sound system, and make a perfect demo disc for testing out a pair of speakers or headphones prior to the purchase in a store. Trust me, it’s fun! Amazing and trippy 4-2-th-floor stuff. excellent music for your herbs.